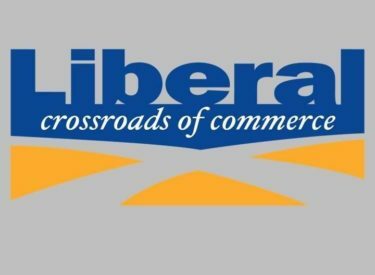 The Liberal City Commission met Tuesday evening and approved moving their meeting location to the Seward County Commission Chambers as to accommodate better the citizens desiring to attend. The Commission worked with Seward County on the temporary agreement until other space can be found. Commissioners approved Waterline projects for Washington Street and 2nd Street, and approved the purchase of body armor and tasers for the Police Department. The Commission approved the updated City Bus Anti-Drug and Alcohol Abuse Policy and approved a request from the Liberal Baseball Club to place a ticket booth at the Baseball Complex. Also approved by the Commission was Phase 2 of the Chlorination project at the Waterpark, the purchase of City Hall Conference Room chairs, fee increases at Willow Tree Golf Course, a parade request from the PRCA Rodeo Committee, and the acceptance of a donation to help cover expenses associated with the Robotics Tournament that will be held on March 24 at the Mid America Air Museum. City Commissioners approved pursuing an agreement with Conestoga to purchase treated water from the City at 5 cents a gallon with Conestoga paying $30,000 up front to help pay for improvements to Arkalon Park. The money would then be credited to the water usage fees. Oralia Baesa was appointed to a 4 year term to the Convention and Visitor Bureau Board with Jay Bhakta and Claudia Garcia being reappointed to 4 year terms. Commissioners also extended the Interim City Managers contract an additional 6 months.